Most of our existing Journals deal almost exclusively with subjects beyond the reach of the average student or teacher of Mathematics or at least with subjects with which they are not familiar, and little, if any, space, is devoted to the solution of problems. No pains will be spared on the part of the Editors to make this the most interesting and most popular journal published in America. Part of Finkel's plan failed; few high school teachers subscribed. 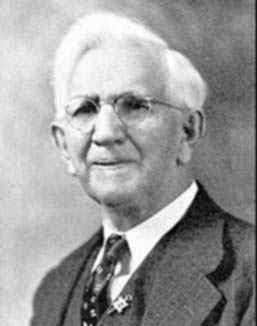 But he had the foresight to enlist the help of university mathematics faculty such as E.H. Moore (University of Chicago). The Monthly resonated with the college mathematics faculty very well. His [Dickson's] articles did much all through its [the Monthly's] history to add tone and interest, and when he became an editor of the Transactions and had gained an international reputation, he still remained true to the Monthly. For a number of years preceding 1907 he was its editor, having full charge of all articles, leaving Finkel, its founder, the management of the problem department. Slaught was an editor of the Monthly from 1907 to 1917. For his first two years, he "ran it much as it had been going," he reported in 1910, but he "used every effort to extend its list of active friends and succeeded in drawing to its cause a large number of valuable contributors and supporters who had formerly known little about it." As editor, Slaught made ambitious strides toward improving the Monthly. He wrote in a 1910 letter that from the beginning of his editorship he "saw that we needed further financial support as well as editorial cooperation." He also believed that the Monthly needed to swtich to a higher-quality printing service to elevate its status. By 1909, Slaught wrote in the same letter, he had "induced the University of Illinois to join with the University of Chicago in joint support to the extent of $50 annually, and Professor G.A. Miller at that time joined me [Slaught] as coeditor and director of the Monthly's destiny. Professor Finkel still managed the business end of the publishing and edits the problem department." Slaught continued to solicit editorial support from colleagues and financial support from their educational institutions, including future MAA presidents E.R. Hedrick (University of Missouri), Florian Cajori (Colorado College), D.E. Smith (Teachers College at Columbia University), and G.A. Miller (University of Illinois), as well as E.J. Townsend (University of Illinois). might well undertake to publish a mathematical paper that would be of value to the teachers of mathematics in the high schools and the small colleges,\ one which would influence the character of the instruction and at the same time stimulate mathematical interest in those schools upon which we must depend for mathematical students. I cannot long stand the pressure. I must either put the Monthly on a different basis or stand from under. If your scheme, which you proposed with reference to having the Society take the Monthly over, could be put through, I should be only too glad to transfer the whole responsibility, including all editorial and business connection with the journal, and if you think that there is a chance of this being done, I should be only too glad to wait and see it tried. However, all the members with whom I have talked seem to feel very doubtful about this proposition at the present time. It may be best to go ahead as proposed above [with subsidies from educational institutions], and see what can be done with the Monthly, hoping later that the Society will take it over. Slaught wrote to Finkel with a similar sense of desperation on November 6, 1912: "I had definitely promised myself that I must bring about this change [of the entire environment of the Monthly] between now and January first," he wrote, "or else withdraw entirely from the situation." After some persuasion by Slaught, Finkel transferred rights to the journal to a board of editors, and Slaught met his January 1 deadline: The January 1913 issue stated that it was "published with the cooperation of the universities of Chicago, Illinois, Indiana, Iowa, Kansas, Michigan, Minnesota, Missouri, Nebraska; Colorado College and Oberlin College." It was "controlled and edited by" C.H. Ashton, R.P. Baker, W.C. Brenke, W.H. Bussey, W.DeW. Cairns, Florian Cajori, R.D. Carmichael, B.F. Finkel, E.R. Hedrick, L.C. Karpinski, G.A. Miller, and H.E. Slaught. Of the twelve professors on the board, three served on an editorial committee, and three served on an executive committee. Slaught remained the managing editor and was part of the board, the editorial committee, and the executive committee. In the meantime, Slaught had succeeded in bringing the journal to the New Era Printing Company (later called Lancaster Press), which printed the Monthly from January 1913 through December 1925. With a more professional look and broader editorial cooperation, the Monthly grew more widely read and well regarded. It would need further, more stable financial support to keep up. Mathematicians associated with the Monthly and with the American Mathematical Society (AMS) began to consider whether the AMS should take over the Monthly. Up to that point, the AMS had dealt almost exclusively with mathematical research at the university level. Some members favored maintaining this focus, sometimes with negative dismissals of any mathematics accessible to the "average mathematician" Finkel and the Monthly tried to reach. Other members saw the task of improving college-level mathematics teaching as a crucial element of elevating the quality of university-level mathematics, and therefore as a worthwhile endeavor for the AMS. The debate was sometimes contentious. On February 11, 1914, Dickson [?] wrote to Professor Cole (of the AMS) with his views on the possibility. Dickson emphasized that he "would like to see the Monthly perpetuated, for it does a good work in its field," and that "there is a wide constituency ... being interested and profited by the Monthly." Presumably, if the Society does not care to cover also the intermediate field, the Monthly must eventually be backed by an organization, corresponding to the Mathematical Association in England in its relation to the Mathematical Gazette. While I have not heard those behind the Monthly say that they contemplate an Association of Teachers of Mathematics, provided the present overtures to the Society fail, still it seems clear to me that such an organization will eventually arise in America, and doubtless the backers of the Monthly have some plan in mind in case the present one fails. Whether our Society should head off such an organization by taking care of that constituency is a question of considerable importance, especially as the affirmative action would make the Society much more heterogenous. Dickson was unsure about what he identified as the important question: "whether the interests of mathematics in this country, in contrast with the mere interests of the Society, are best served under the present limitation of our energies in the direction of higher mathematics, rather than, by the proposed enlargement of energies, by attention also to intermediate mathematics." He continued, "Either the Society should join in such an enlargement of its functions, or should gracefully acquiesce to an inevitable new organization, which instead of harming our Society should do us good." On this question, Dickson declined "to attempt to express even a tentative opinion, except that [he] would favor a discussion." With respect to enlarging the scope of the American Mathematical Society in the way that you suggest, I fear that the proposition is a doubtful one. The London Mathematical Society does not take in the teaching element; the Circolo of Palermo confines itself to Pure Mathematics, and in general there is in every leading country a society that publishes material as ours [the AMS] does, which not one member in a hundred can read, at least with any pleasure. I should think we could secure better results by keeping the American Mathematical Society a blueblood organization that stands for sound mathematics, and then put all the energy we can into organizing associations of teachers of mathematics, as we are doing at present. I would refuse to join in the formation of such an organization other than the Society. I firmly believe in the present activities of the Society, individually and severally, for all those now served. I firmly oppose all possible changes in this established work and service, and anything which would lessen the efficiency of that work, or get in its road. I cannot see that extending the scope of the Society's efforts would damage its established functions. That is about all that I think on this subject. Is it heresy? In April 1914, Slaught presented a proposal to the Chicago Section of the AMS. As Secretary of the Chicago Section of the AMS and editor of the Monthly, he then formally submitted a proposal to the AMS on December 28, 1914. Despite his earlier protestation, Hedrick ended up presiding over a December 1915 founding meeting of this new organization, the MAA, and serving as its first president. The American Mathematical Monthly has been one of its core publications ever since. Today, Benjamin Finkel's dream has substantially come true; the Monthly is the most widely read mathematics journal in the world. The Mathematical Association of America gratefully acknowledges the Archives of American Mathematics for preserving, organizing, and facilitating access to archival records essential to this history, including especially the MAA Records. The full list of The Monthly editors is available here.